Well, BlossomCo didn’t quite win The Gift of the Year award but we were very pleased to come out with a Highly Commended award at the Giftware Association awards ceremony. Held at the end of the first day of the Spring Fair at Birmingham’s NEC, the awards were presented by Cath Kidston and as the evening progressed, and the time for announcing the awards got closer, so the tension rose! It would have been fabulous to have won outright, but a Highly Commended award feels like a good reward for all the effort that gone in to developing the BlossomCo collections of collars and leads and building our brand over the last couple of years. Thank you to everyone, including our stockists, who have helped us along the way. 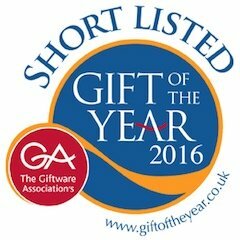 We are very excited and proud with the news that for the second year running, we have been shortlisted in the prestigious Giftware Association’s Gift of the Year Awards. 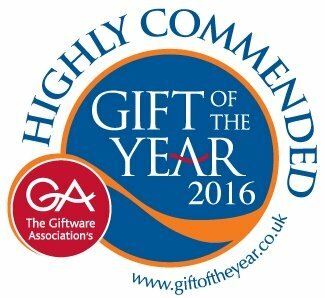 In this year’s Gift of Year 2016 Awards, we have been shortlisted not just for ONE Award but for THREE AWARDS! What an amazing start to 2016 for BlossomCo!! Hi Freddie – What’s this year’s look for stylish dogs like us this Christmas?? 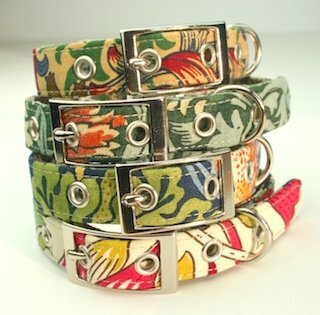 I’m thinking something seasonal but not too Christmassy if you get my drift? 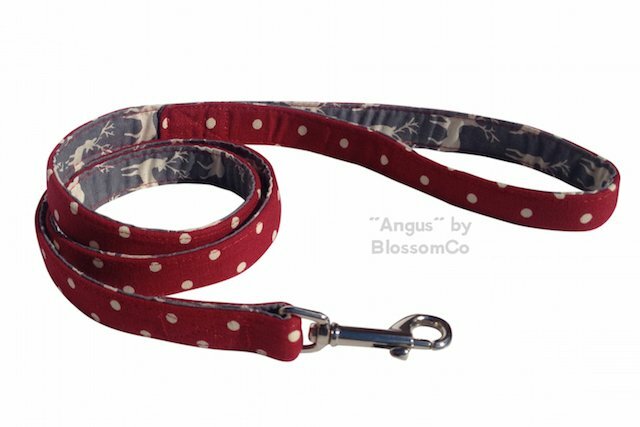 Angus is our fabulous new winter addition to the BlossomCo family and will certainly make any dog feel extra special this winter as they set of for a walk wearing our stunning new dog collar and lead. The stylish red linen and the dashing Highland Stag design set the scene of a beautiful winter wonderland. Just like you want Archie – it beautifully reflects the winter season in a stylish and subtle way without overdoing the Christmas theme itself! 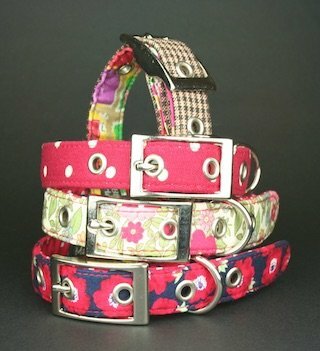 Let’s hope you get a collar and lead set shortly! Give Angus as a gift to a dog owning friend this Christmas and you will be sure to put a smile on their face and an extra wag in their dog’s tail this winter. 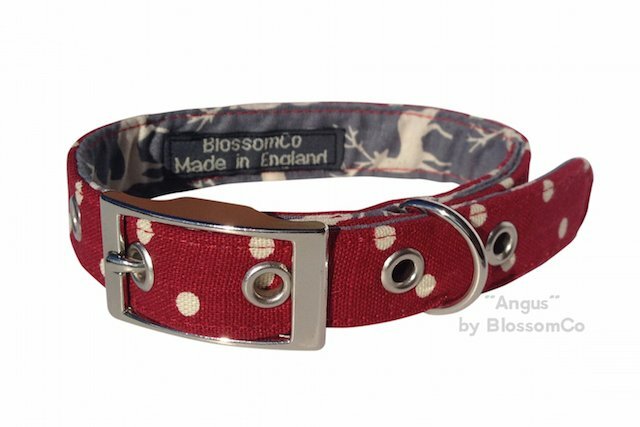 If you would like to stock any of our Angus dog accessories then please email us or if you would like to purchase any of our Angus dog accessories then please search for a BlossomCo stockist near you. Angus will give dogs and their owners a festive cheer this Christmas. We’ve booked our place at Top Drawer, have you? We are very excited to have booked our place at Top Drawer, London Olympia from Sunday 17th January until Tuesday 19th January 2016. 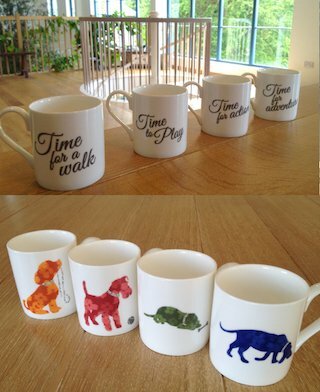 This is a great opportunity for you to come and see our exciting new range of dog accessories that we are excited to launch at Top Drawer. We will be at stand N50, so make sure that you book your ticket today and come and see our exciting new range of designs.